Also known as the “Mountain Devil”, the wolverine population is declining rapidly in the United States. Due to climate change, particularly snow melt and decline of their prey, this animal is rapidly losing habitat necessary for reproduction and survival. Federal wildlife officials want to put the wolverine under the Endangered Species Act in the 48 states, excluding Alaska and Hawaii. However this was rejected by the Bush administration and postponed in 2010 when the Obama administration informed the public that they would consider more important species at risk. Alaska and Canada have the largest population of wolverine, while the rest of the United States have only 250-300 wolverines that are grouped isolate in small groups. These individuals mainly reside in the northern Rocky Mountains. In fact, one lone wolverine is left in the Colorado wilderness. Fortunately, Colorado is an ideal habitat for over 100 wolverines, which may aid conservation and reintroduction efforts. There are many more animals that need to be closely monitored as Obama administration has suggested. 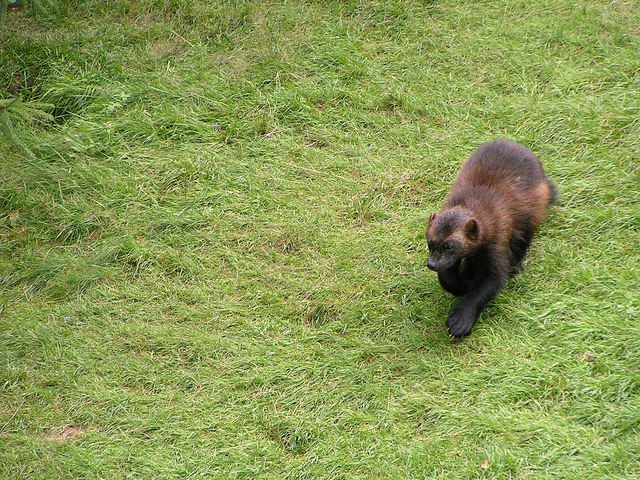 The wolverine is certainly one of the listed animals to be considered. There should be non-government studies that provide indications of how and why these species are declining and there should be specialized organizations that specifically focus on their specific species. This way, success of saving animals (and plants) would most likely increase if habitat is suitable for the animals.